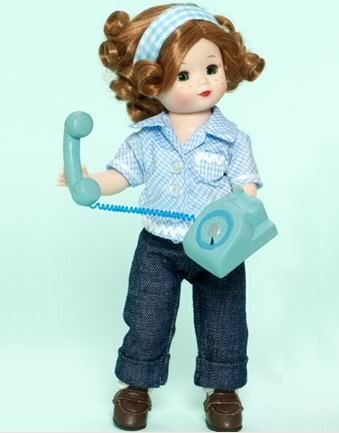 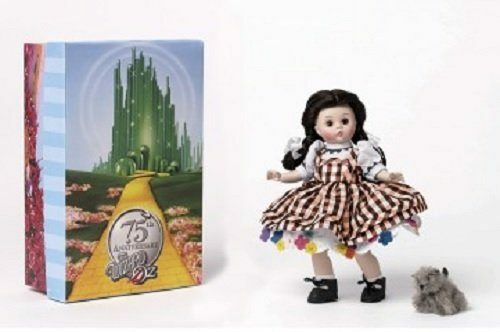 This fully articulated 8″ classic Wendy doll has light skin, brown eyes and brown hair pulled back in a curly ponytail. 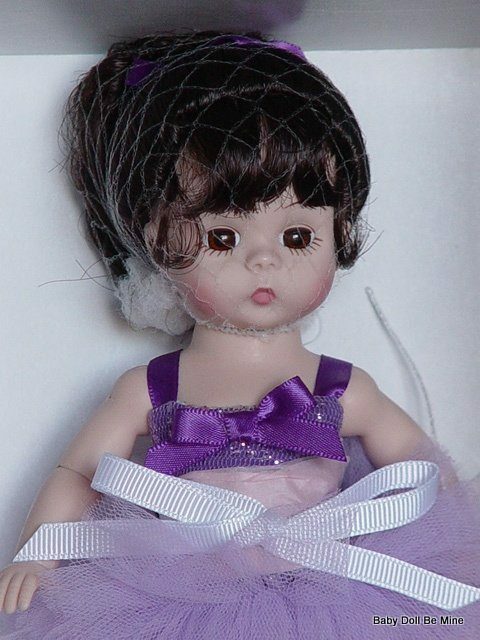 She is dressed to dance wearing a purple crepe leotard that has a sparkly, net overlay and bow accent. 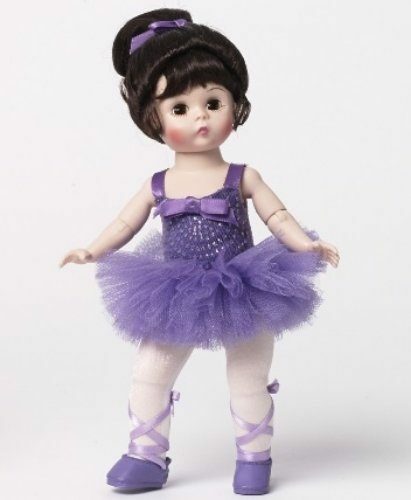 White, glissenett tights and purple ballet shoes complete the outfit. 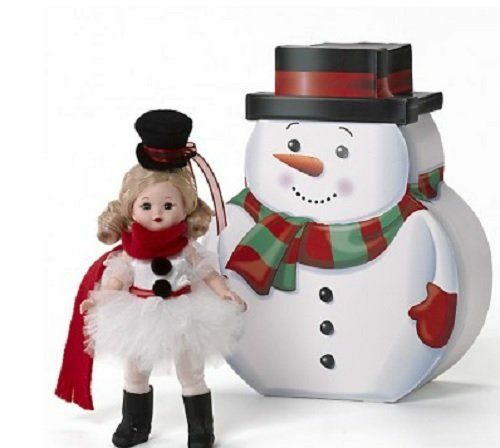 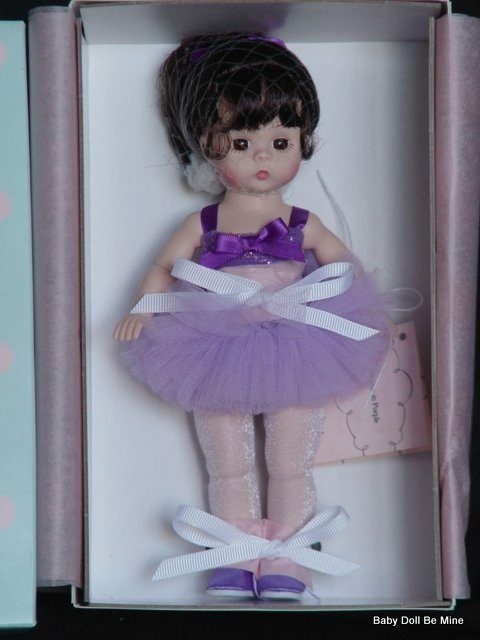 A perfect gift for any ballet fan.